Breakfast: I was a little more prepared this morning getting ready for the conference. I made a thermos of Genmaicha tea and brought a couple of Apples. I decided to take public transportation which consisted of a subway and a bus. The bus was late and we had to wait out in the cold. I was glad to have my tea with me. Lunch: I was looking forward to lunch. The line for the food truck outside was very long. We waited patiently in the cold. It was a different food truck today, serving Mediterranean cuisine. When I finally got to the truck I was disappointed. Yes, they had a vegan option but everyone’s portions were very small. 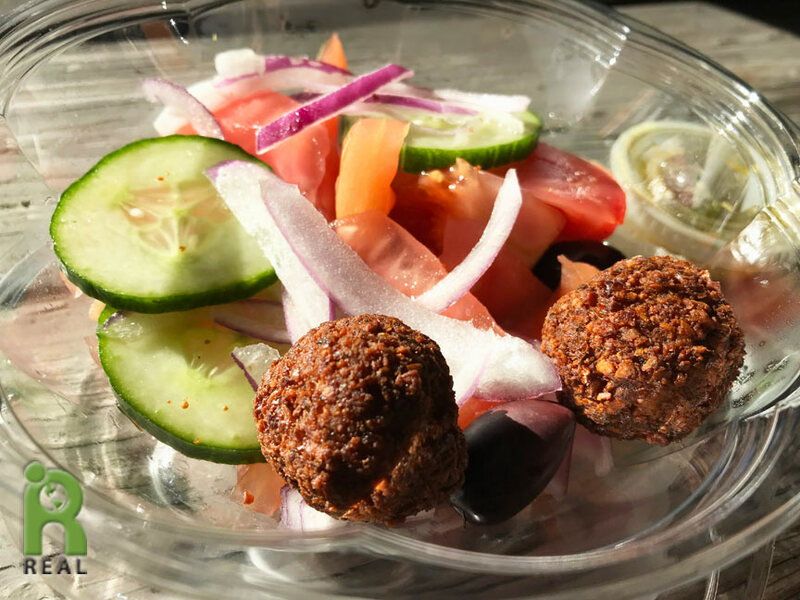 I gobbled up my tiny Salad and two Falafel balls too quickly. Fortunately I had a Yellow Apple with me and I ate it a little while later. 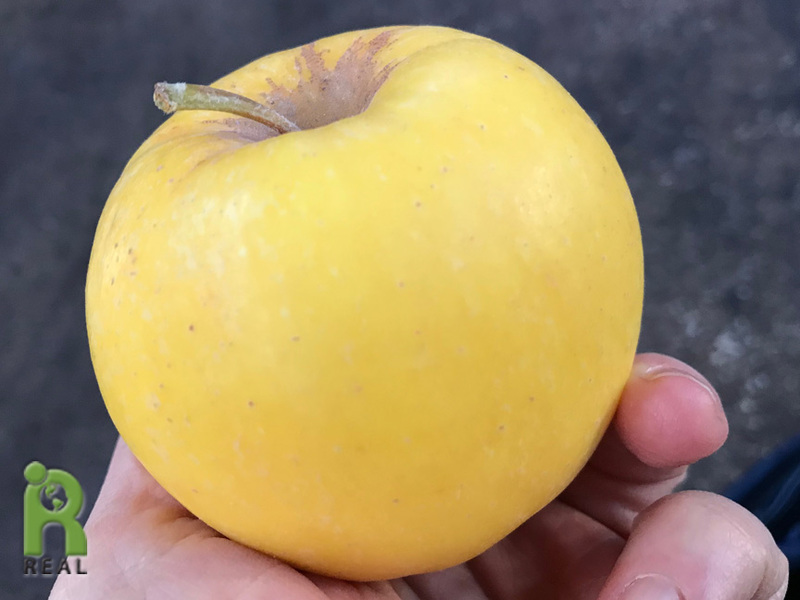 Yellow apples are stunning. I left the conference a little early. I was hungry and the remaining presentations did not interest me. Dinner: The bus and subway got me home a lot faster than it took to get me to the conference this morning. Gary had everything ready for me when I arrived. 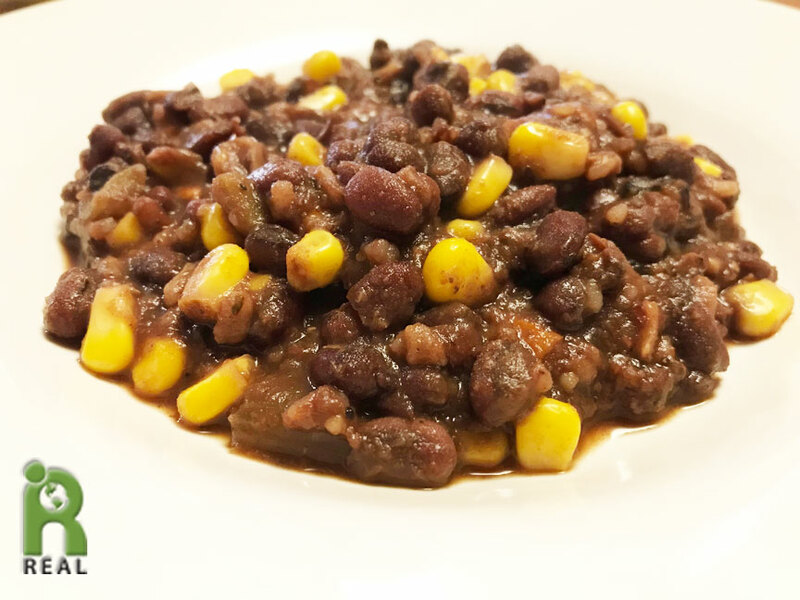 We began with a Bean and Corn Stew. Delicious. 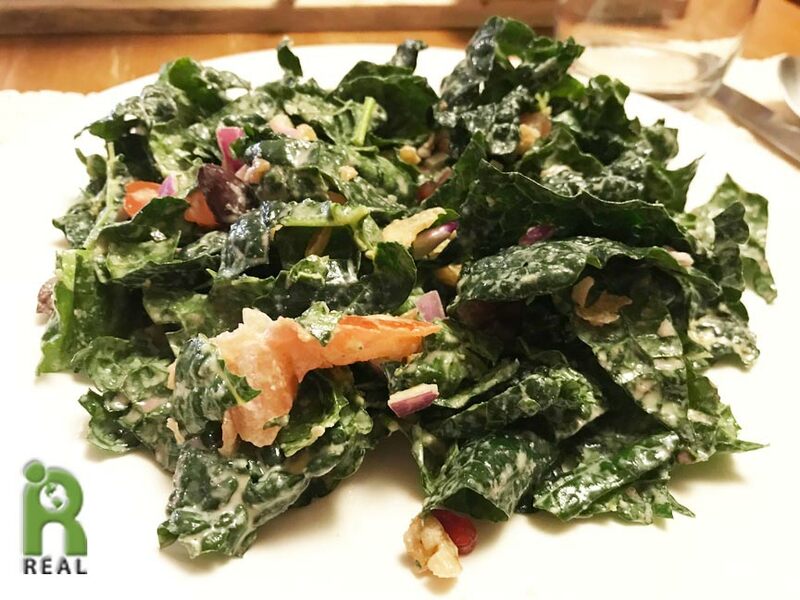 The second course was a Kale Salad, with Tomatoes, Olives and Red Onions. Also delicious. 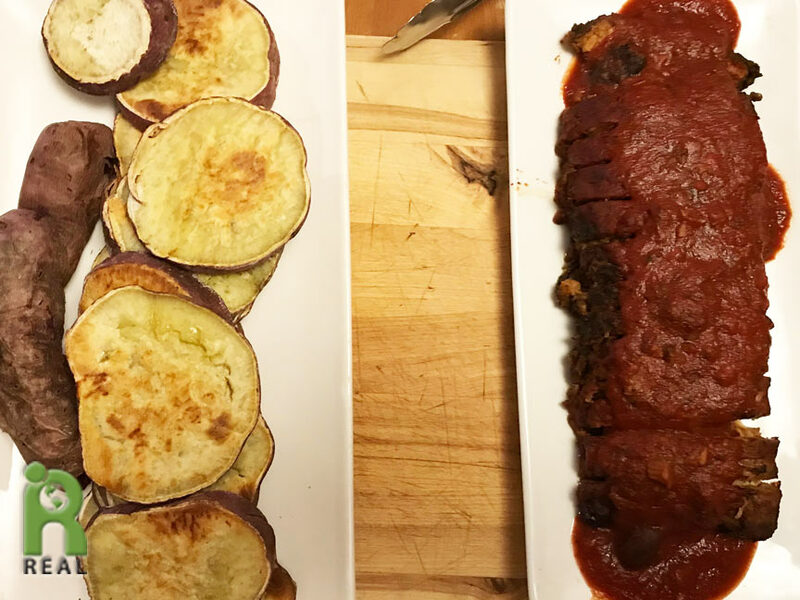 Then Gary brought out the best part, Baked Sweet Potatoes and Roasted Tempeh with Tomato Sauce. It was a very satisfying meal.